If you missed the road show, the San Francisco Planning Department’s presentation for proposed zoning around the Transbay terminal is now online. Included in the presentation are “Urban Form Simulations,” a series of Downtown views from 17 different vantage points throughout San Francisco (including Alamo Square, Union Square, Dolores Park, Twin Peaks, and the Golden Gate Bridge) which are rendered with Transit Tower massings under five different zoning scenarios: existing, 850’ max, 1000’ max, and 1200’ max (without and with neighboring proposals). Okay, I am biased because I love tall buildings but, 1200′ WITHOUT the additional proposal is the ONLY way to go. 1000′ just doesn’t cut it. There is no drama, it is just more of the same. 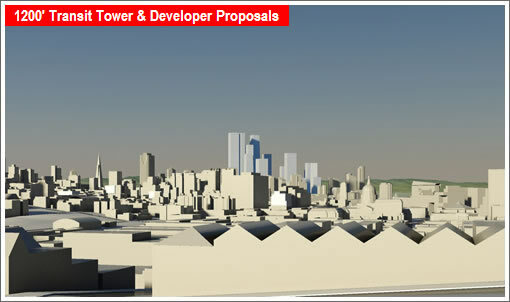 The additional proposals however make it all look obscene. Come on S.F., let’s do it already! My preference would be for the 1200′ tower with developer proposals minus the piano towers. Without that, we lose the 700′ addition to the palace hotel. A 1200-foot tower? Where are all the businesses going to come from to rent all that space? From down the peninsula maybe? I think the original contest asked for the building to be mixed-use, didn’t it? In case any of you missed it the Piano towers are not going to happen so the 1200′ & Developer proposals are all moot at this point, unless another developer comes in with 1200′ twin towers. These are simply what we were shown at the public meeting in April, the ones they told us would be up online the next ‘week.’ I guess it makes sense though, in SF planning translation 1 week= 1 month. Love the 1200′ buildings; will scare the wits out of those who stopped tall buildings in 1980s (which resulted in huge blocky shadowy areas (hello Fremont St). Where are the business coming from? Just a few blocks away. 20 years hence, those gorgeous limestone buildings in the ‘Financial District” north of Market on Calif, Montgonery, Sansome etc. — will become residential — just like the remarkable conversion of Wall Street in past yrs. There? (CT, NJ and other corp lifestyle-friendly places beckoned) — Here? it’s the East Bay and Penninsula. I think 1,000 feet will be the winner – though that doesn’t rule out some sort of wind turbine snap-on at the very top, above 1,000 feet. I believe San Francisco’s accessibility by multiple modes of public transit will help attract occupants of these office spaces one way or the other. White collar workers are already hopping on train lines, apparently, instead of driving their cars to get around Sacramento, the East Bay/San Francisco, and San Joaquin. I would guess we’ll see even more folks acquiesce to the lower costs of public transit. I, for one, am thrilled with these high gas prices. It’s the best thing to happen to this country. Otherwise, fat, ignorant Americans will never get out of their cars. With the cost solo transportation continuing to rise, you’re going to see more businesses move into core urban areas, like San Francisco, from far-flung suburbs to be closer to public transport. That’s who will be filling up these new office towers. Businesses relocating from the peninsula? No way. Until San Francisco gets over its retarded anti-business “tax ’em to holy hell” bent, there’s no way a business from the peninsula is going to pay 1.25x what they do today just to have a San Francisco address. While I thoroughly agree SF should stop treating business like the enemy, SF seems to do surprisingly well in spite of itself. It seems a fair number of firms are willing to cough up the payroll tax and deal with the overall anti-business climate in order to attract employees who prefer city living. The relatively low rate of office vacancies and high commercial rents speak to that fact. They move because they are better able to attract workers being in the city, and not in some suburb where their workers have to drive. Given the fact the SF is about to lay off 450-1000 city workers to erase a $330 million deficit (today’s SFGate), I would think building the high rise buildings to entice companies to the city will help with tax revenues in the future so we can avoid layoffs in the first place (I too agree that we need to stop being hostile to businesses in SF). You can’t attract workers to any city when little 2-bedrooms are priced at close to $1,000,000. In the Internet Age, a “San Francisco address” means absolutely nothing. ^^^Clearly that theory isn’t backed up by any, you know, “facts” from the real world. Does NY attract workers? Sure seems so during rush hour there. 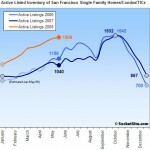 @going to zero: Nobody wants to live in san francisco, its too expensive? Hmmm…you do know how supply and demand works right? Well it is true that being located in San Francisco does help attract younger people that like to live in the city, but at the place I work at, the company president keeps us in the city because he enjoys coming to work in the city. He also thinks that our visiting clients enjoy visiting the city to conduct business instead of instead of say in an office park somewhere in the valley. It’s time to admit that San Francisco lost its status as the employment/financial hub of the Bay Area a while back. Don’t get me wrong — I would love of SF to start accumulating real businesses again (eyeball-focused/profitless Web 2.0 startups don’t count), but if it requires a CEO that likes to come to work (or resides) in The City to put the HQ there, then the numbers really don’t work. As for the whole thing about driving to work or not. The fact is that even at today’s gas prices, the pinch really isn’t in unless gas is *much* higher. And to really make it work a la Manhattan, SF really needs much better transit options (40 minutes from the Sunset to Market St. doesn’t cut it) — and that requires more density than the NIMBYs will allow. 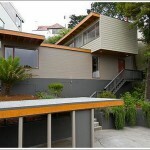 Essentially, SF has already become the dreaded bedroom community of the Valley…. I chuckle at talk like this. SF grows by more than a quarter million people during the day and still has the second largest job cluster in the region (and only second largest because the Valley includes more than five times the square mileage for it’s cluster) and somehow because a few thousand young Google and Yahoo employees reverse commute SF is now a “bedroom community”. Funny stuff. Not everyone has to work here, and we don’t even have to be the center of employment for there to be a reason to want more housing here for the jobs already here. The simulations don’t resemble reality in any way. As New Yorker architecture critic Paul Goldberger points out, simulations and drawings are marketing tools to make a project look good. They are intentionally deceptive. Also, none of the simulations take the view from street level. Everyone who posts here seems gung ho about the towers, but the whole project seems very old fashioned, very 19th century urban planning with the pallor of the 1970’s economy. Instead of investing an a series of business centers around the city, in hubs connected by public transit, we’re still pouring people into an already jammed bottleneck. The Transbay Tower isn’t going to accommodate trains or be a BART or MUNI hub; it’s mostly going to be a dumping point for commuters coming over the Bay Bridge on AC Transit. As for the workforce that supposed to staff those luxury office buildings, they’ll be driving from the Penninsula and the Sunset, places without much public transit. Given the state of the economy, what business will spend the money on a luxury building in an area that has lost it’s heft as a financial and technology center? Retail spaces will be more of what’s already downtown in the Embarcadero and the Westfield Center. How many Starbucks, Walgreens and Banana Republic stores will open before those companies start to lose money on them and close? I won’t even mention the dark streets. When talking about buildings and urban planning here, green doesn’t actually involve plants. Commuting from or to the Valley is not only a huge waste of time, it is also socially short sighted. – Commuters living in SF working in the Valley could easily get more bangs for their bucks than SF. A house in sunnyvale could be found for way less than SF. OK, the Valley is a bit bland and boring, I agree. But the weather is much warmer. – Commuters living in the Valley working in SF could probably find the same kind of job in the Valley (apart maybe for financial jobs). I work and live in SF. Commute time: 35 minutes a day. Mileage per year on my car: 2000. A Google employee commuting every day must be doing 10 times that easy. Many single people, gay people, and creative types don’t want to live in the suburbs. And for coupled folks, moving to the Valley to be close to work is only helpful commute-wise if both work in the Valley, or only one works outside the home. The main reason people I know moved to the suburbs is that they have kids, and want a yard and better public schools. only about the schools for my outbound friends.